Make FREE Calls to Japan - right now! 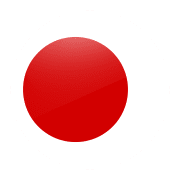 Make completely free calls to Japan with Planet Numbers! If you’ve signed up to an inclusive calls package where calls to 0870 numbers are part of that deal, when you use our 0870 access number to call Japan, you’ll get these calls included in your monthly calling plan bill. For example, if you’re an ‘evenings and weekends’ calling plan customer, calls to 01 and 02 numbers are free to call, and the 0870 access number will also be free to call during these times. You don’t need to register, and there are no passwords, codes or PINs to remember. All you have to do is make a note of the special access number that you need to dial in order to make free calls to Japan: 08700 477 477 . Make FREE calls TO Japanese mobiles too! You can also make free phone calls to Japan mobiles. You simply dial the same access number, 08700 477 477 , followed by the full Japan mobile number that you wish to call, starting 0081 as usual. Here at Planet Numbers, we specialise in providing customers with cheap international phone calls from all UK landlines and UK mobiles. Follow this link to find out how you can make cheap calls to Japan and more. Any calls to Japan using our numbers will be billed by your usual telephone service provider to the account holder for that line. Please obtain permission from that account holder before using our service. Calls are charged from the time you are connected to our service. For a BT line the rates are available on their website, other service providers may charge a higher rate, please contact your service provider for further details. We reserve the right to terminate any call if we consider it is being made unlawfully or fraudulently. The service is subject to availability. Planet Numbers Ltd do not accept liability for any charge incurred while using this service.